Lambert & Rehbein were commissioned by the Department of Transport and Main Roads to undertake the Post Construction Phase Road Safety Audit for the recently completed four lane section of the Mount Lindesay Highway from Green Road to Stoney Camp Road (4 km). 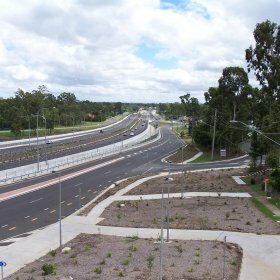 The existing highway was a two lane rural carriageway which has been up-graded to provide for a four lane median divided highway, including entry and exit ramps, service roads and an interchange at Park Ridge Road. 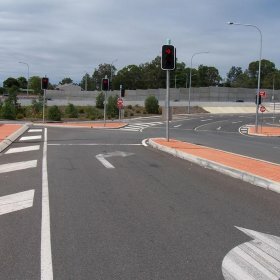 The connections to the existing road infrastructure. The audit was conducted in accordance with the Austroads Guide to Road Safety Audits and reported in the DTMR Road Safety Audit proforma document.